A few years ago I went on a vacation to Puerto Vallarta where we went on the obligatory tour of a tequila factory. 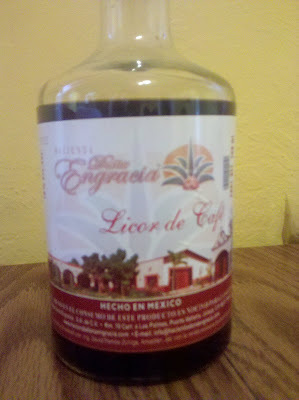 They had a variety of tequilas including a coffee flavored one. They said it could be used in cooking and since I like to add alcohol to my cakes, I bought a bottle. I've hardly used it at all. I tried making brownies with it like I do with the kahlua. Didn't care for it much. This weekend I had a party and had made the pina colada cupcakes and decided to supply a chocolate alternative. 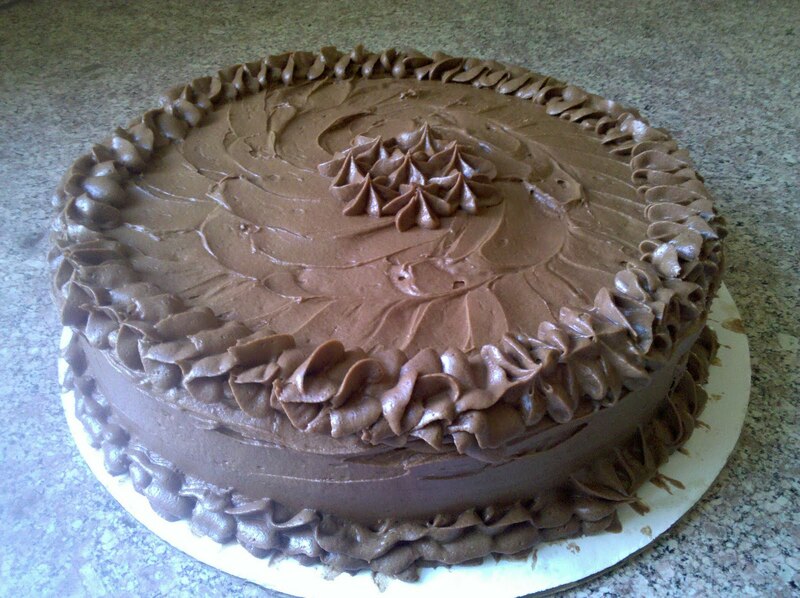 I opted for a layer cake this time since I didn't want to do another set of cupcakes. This time I think it worked well. 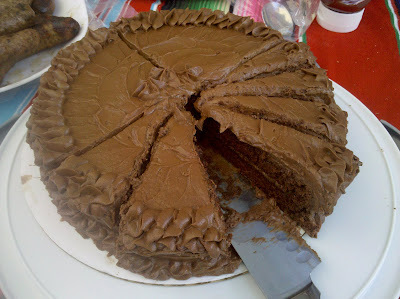 There is definitely the flavor of tequila in this cake if eaten straight, but with the cocoa frosting, it is muted. You can use a different alcohol such as rum, kahlua, or amaretto. Heat oven to 350 degrees. Grease and flour two round cake pans. Line the bottoms with circles of parchment paper. Mix the dry ingredients together in a medium bowl. In a large bowl, cream together the eggs and shortening. Add eggs and vanilla and blend together. Gradually add dry ingredients and mix until well blended. Add water, buttermilk, tequila, and melted chocolate. Mix well. Pour half the batter into each of the cake pans. Bake 20-25 minutes or until pick comes out clean. Remove from oven and cool. Cream together butter and cocoa. Blend in powdered sugar. Gradually add milk until the mixture comes to a spreadable frosting.